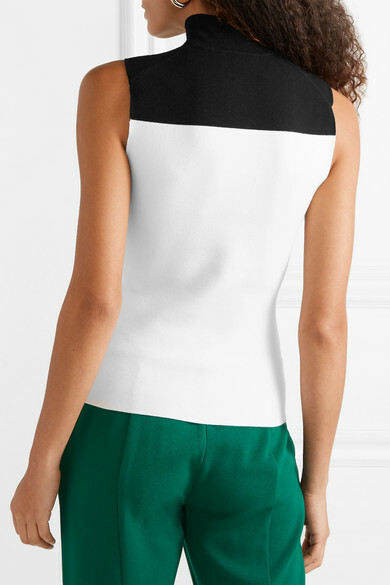 Narciso Rodriguez creates sophisticated and timeless pieces that we find ourselves turning to over and over. 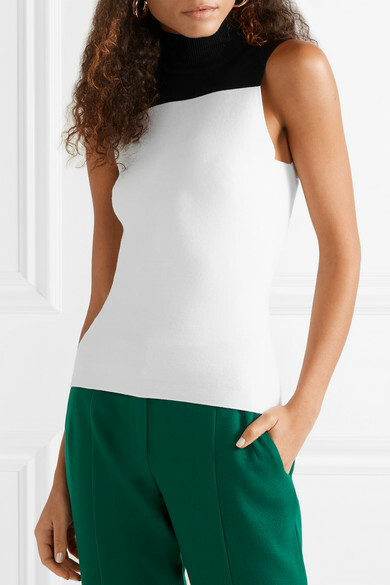 This two-tone top is made from a wool-blend that has plenty of stretch for a sculpting fit and a sleek ribbed turtleneck. 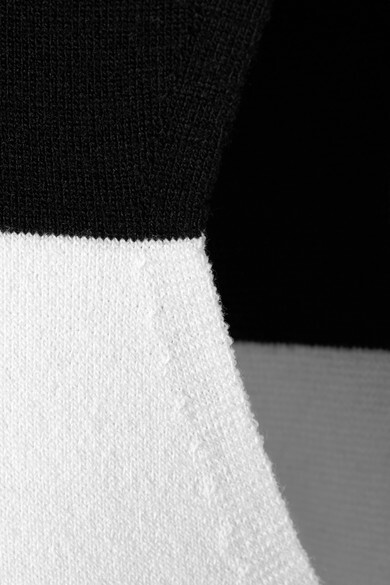 Tuck yours into tailored pants or fluid skirts. 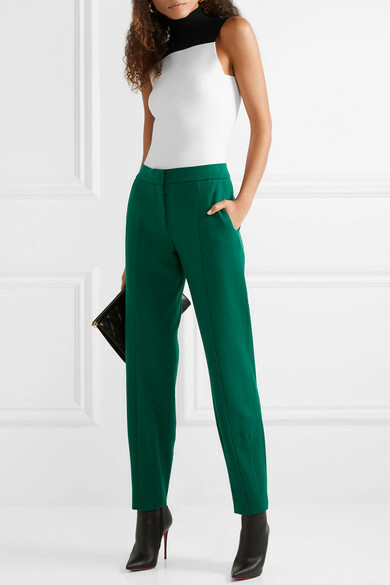 Shown here with: Narciso Rodriguez Pants, Givenchy Bag, Christian Louboutin Ankle boots, Jennifer Fisher Earrings.